Grown in the Carolinas, our grits are course-ground the old fashioned way, between the granite stones of an antique Meadows grist mill.Chefs in several upscale Southern restaurants, already serving Carolina Plantation Rice, have added Carolina Plantation Grits to their menus.Being coarse-ground, our grits have a rich taste and a thick and creamy texture. The longer they cook, the creamier they get. 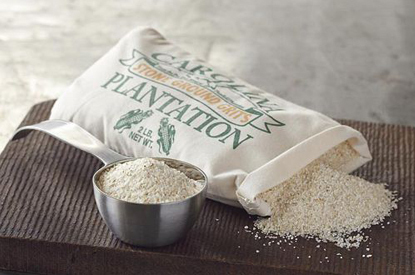 Top them with shrimp and sausage gravy, succotash with grated cheddar cheese, or just plain butter...delicious!Carolina Plantation stone-ground grits are packaged in attractive 2-pound cloth bags bearing the Carolina Plantation label. Our rice and grits always make perfect gifts for any occassion.